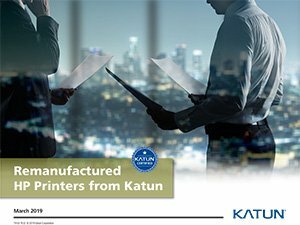 North American Dealers- We just released our latest Katun Certified Remanufactured HP Printers and Multifunction Devices Catalog | Industry Analysts, Inc.
Click here to view the new catalog! This entry was posted in Katun and tagged Certified Remanudactured, hp, HP Printers, Katun, Multifunction Devices by IA Staff. Bookmark the permalink. Next → Next post: What Dealers Are Saying About LD Products – Copiers NW!